I love the look of tweed, and how wonderful that it’s wearable year-round, depending on the material, of course. 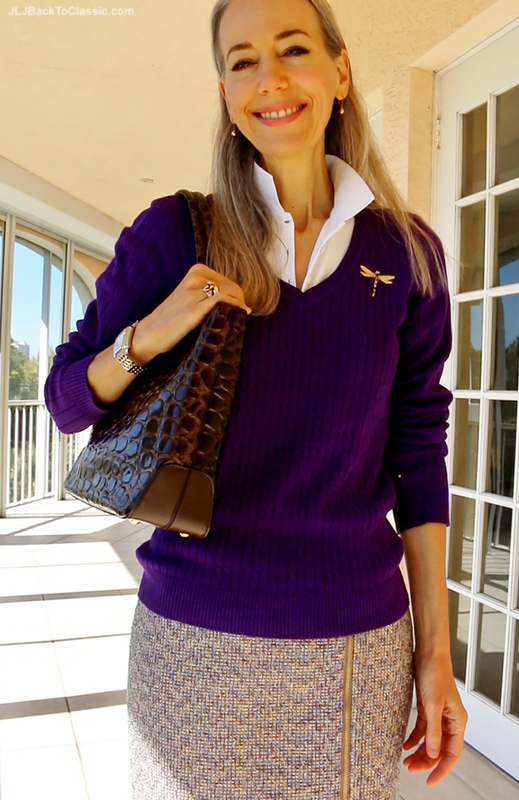 I bought this purple metallic-tweed skirt in late fall. I’m wearing it here a couple of weeks ago, when the temperature dropped into the low 60s. I just came across your site and love it. Feels like I just had coffee and conversation with an old friend. I have always loved classic fashion, it never seems to go out of style. Please add me to your mailing list.